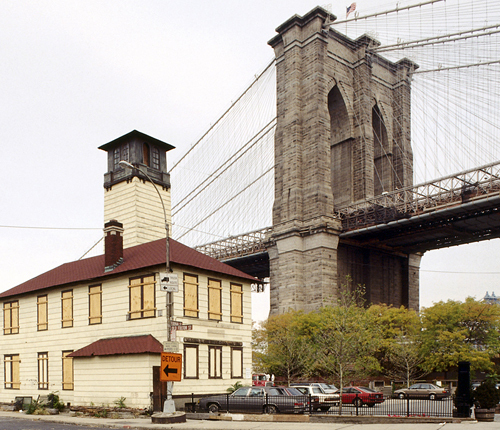 Manhattan is just one of New York’s five boroughs, each of which has its own unique attractions. Brooklyn alone, with its fine brownstone neighborhoods and numerous top-class sights, would be one of the largest cities in the U.S. 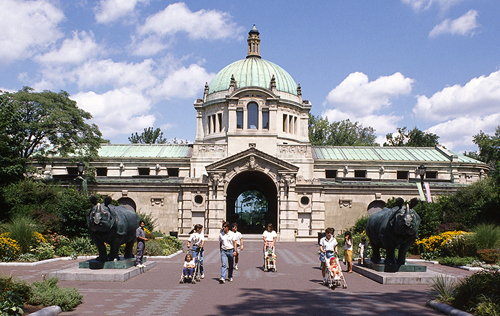 The Bronx, to the north, boasts one of New York’s finest zoos, plus the New York Botanical Garden and Yankee Stadium, while Queens, a veritable melting pot of nationalities, is famous for its museums, ethnic dining, and numerous sports events. 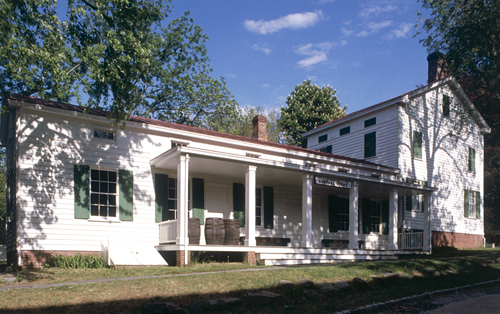 The ferry to Staten Island leads to New York’s only restored historic village. 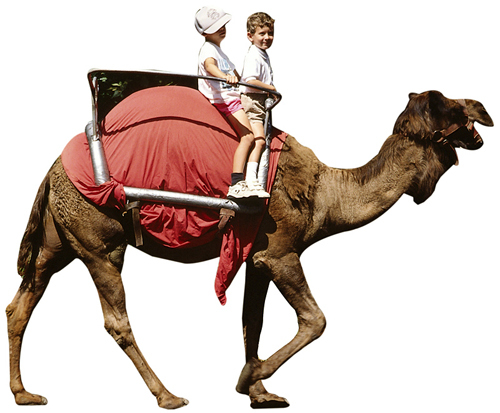 Well past its 100th birthday, this sprawling zoo on 265 acres gets better all the time. The newest exhibit is Madagascar!, while Tiger Mountain and the 6.5-acre Congo Gorilla Forest, an African rainforest habitat, bring visitors nose to nose with the inhabitants. The unusual World of Darkness shows nocturnal animals like bats in action. One of the oldest and largest botanical gardens in the world, this National Historic Landmark covers 250 acres and includes 50 gardens and plant collections and 50 acres of forest, the only remains of woods that once covered New York. 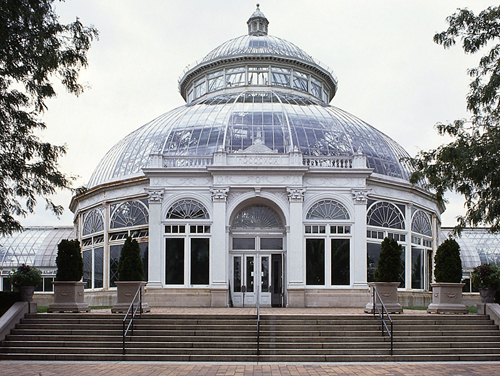 The Enid A. Haupt Conservatory, a restored Victorian glass house, is home to tropical rain forest and arid desert plants. A tram makes it easy to see the highlights, and guided tours are offered. The Leon Levy Visitor Center has a shop, a visitor orientation area, a shop, and a café. This 52-acre garden designed by the Olmsted brothers in 1910 is home to more than 12,000 plantings. It is best known for the Cranford Rose Gardens where thousands of roses cascade down arches and climb lattices, and the authentic Japanese Hill-and-Pond Garden, planted in 1915. It is also known for its Cherry Esplanade and Cherry Walk, one of the foremost cherry-blossom sites outside Japan. The Steinhardt Conservatory houses tropical and desert plants and one of America’s largest bonsai collections. Overlooking the East River and lower Manhattan skyline, this district is an enclave of old-world charm. Along its quaint streets are preserved, Federal, wooden and brick townhouses of the 1820s and even grander Greek Revival homes of the following decades. 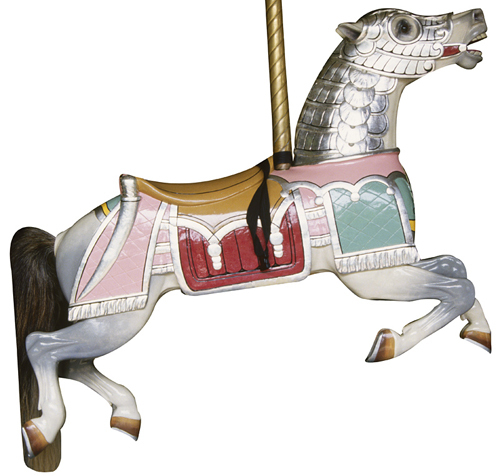 Frederic Olmsted and Calvert Vaux considered this park, opened in 1867, to be their masterpiece. 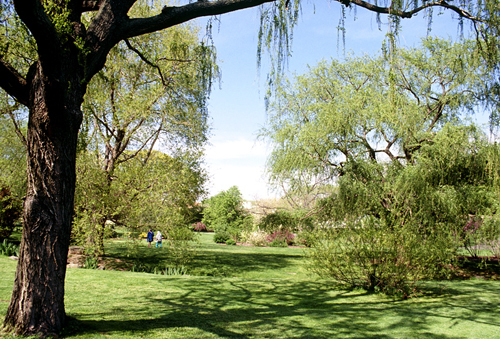 The 90-acre Long Meadow is the longest unbroken green space in the city. The pools and weeping willows of the Vale of Cashmere are particularly fine, along with Vaux’s Oriental Pavilion and Concert Grove. These blocks on the western edge of Prospect Park became desirable places to live after the opening of the Brooklyn Bridge in 1883. The Victorian brownstones from the late 19th and early 20th centuries are outstanding U.S. Romanesque Revival and Queen Anne residences. The site of two World Fairs, this is now a spacious park with picnic areas, fields for cricket and soccer, paths for bikers and skaters, boating lakes, and many other attractions. The New York Mets’ Citi Field, the U.S. Tennis Center, the New York Hall of Science, and the Queens Museum of Art are also here. 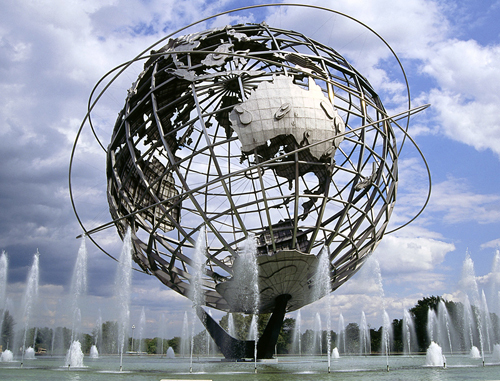 The Unisphere, the symbol of the 1964 World Fair, still stands. A sports shrine, completed in 1923 and known as “The House that Ruth Built” for the legions of fans who came to see superhero Babe Ruth, was retired in 2008. Other legendary heroes of America’s most winning baseball team include Joe DiMaggio and Mickey Mantle. The new Yankee stadium incorporates Monument Park, consisting of retired number plaques and statues of the greatest players. This restored village has 29 buildings from the town of Richmond, Staten Island’s seat of government from 1729. Other historic buildings were moved here from other sites. The Dutch-style Voorlezer’s House (1695) is the island’s oldest home on its original site. This was mostly a community of Hasidic Jews, Puerto Ricans, and Italians until the 1990s when artists from Manhattan began to move here. 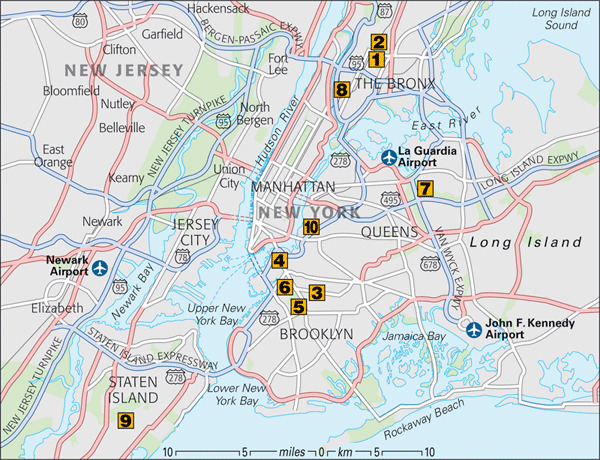 The heart of Williamsburg is Bedford Avenue, which is only a short journey from Manhattan on the L subway line. Here you’ll find stores promoting local designers, as well as bars and restaurants, where prices are often lower than in Manhattan.